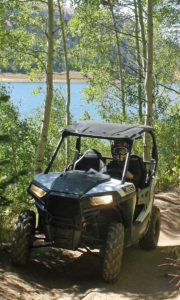 Photo Credit: Sanpete County Travel Polaris RZR 900 on the Arapeen OHV Trail #12 east of Fairview Utah. Huntington Reservoir is seen in the background. Photo Credit: Sanpete County Travel Polaris RZR 900 on the Arapeen OHV Trail #12 east of Fairview Utah. 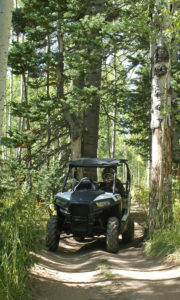 Photo Credit: Utah Office of Tourism Polaris RZR 570 on the Arapeen OHV Trail #57, near Miller’s Flat and Potters Ponds- also east of Fairview, Utah. Huntington Reservoir is seen in the background.